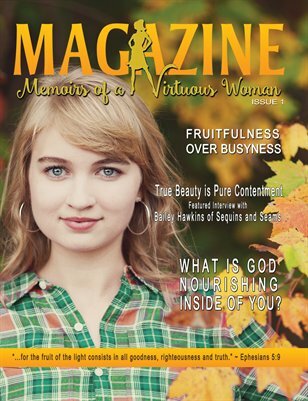 Presenting a timeless, full color magazine that continues the mission of believing all women to follow the narrow path. It’s not your ordinary magazine. While reading this publication, you will be encouraged to pull out your bible and highlight key elements as you read each article. Inside you will find challenging articles, inspirational interviews, and quotes that surround the fruits of the spirit.